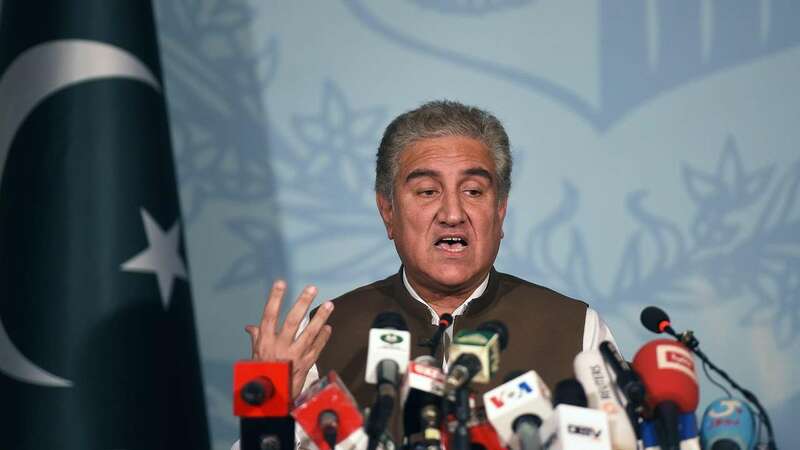 Feb 5 (AZINS) MEA has taken note of the Anti-India events in the United Kingdom between 4-5 February in which Pakistani Foreign Minister Shah Mahmood Qureshi had participated. Top government sources reacting to WION's question on a Kashmir conference in which Pakistani FM participated in London said, "Pakistan seems to be working on 2 Ks--Kashmir & Khalistan & Pakistan FM's London visit was reflective of his personal ambition & linkages with the deep state". Another govt source further said Qureshi's visit did not help "scale up the event" & the event was a largely "damp squib" with the UK giving a complete miss. UK has already clarified that it was a private visit by Pak FM. The Indian official highlighted that "it is very uncommon that the FM visited and did not have a meet with UK Foreign Secretary Jeremy Hunt "
India had strongly taken up the matter with London & the official told WION, "UK understood our sensitivities"There was no official participation of UK govt & not all members of All Party Parliamentary Group on Kashmir (APPG) even attended the meet. "It's interesting to know, India DGMO was contacted by Pakistani DGMO on hotline on Monday evening, and informed about a rally at the LoC to mark the "so-called Kashmir solidarity day". Pakistani side informed the Indian side not to be surprised by it, to which the Indian side said, if any anything happens, "you will be responsible"." Pakistani FM had taken part in a "Kashmir Conference" at the Committee Room of British Parliament on Monday.